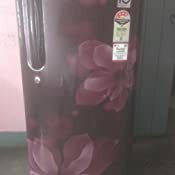 Direct-cool single-door refrigerator. 190 litres capacity.Energy Rating: 4 Star.1 year on product. 10 years on compressor.Vegetable Basket: 12.2 liters. Handle Type: Ariana. Shelf Type: Transparent glass. 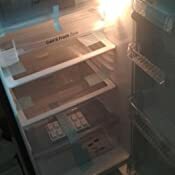 Freezer Door: Transparent. 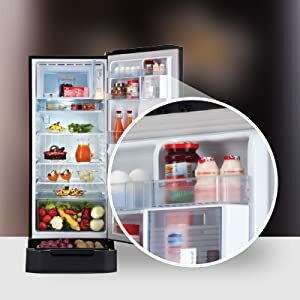 Tray Ice (No./Rows): 2/2.Smart inverter compressor and smart connect.Stabilizer free and moist balance crisper.Base stand with drawer. **Star rating may vary with Model. 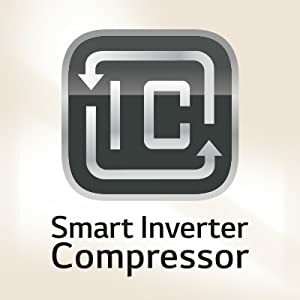 The revolutionary smart connect technology helps you connect your refrigerator to home inverter in case of power cuts. 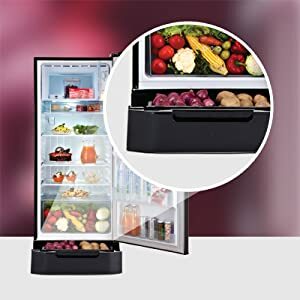 Thus providing you the convenience of storing food for long without spoilage. 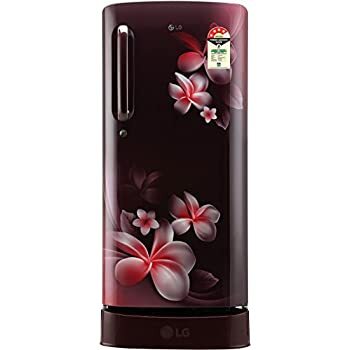 *Results as per the test conducted internally by LG under strict test conditions. A special lattice-type box cover which maintains moisture at an optimum level when moisture from stored food is evaporated and then condensed on the lattice. 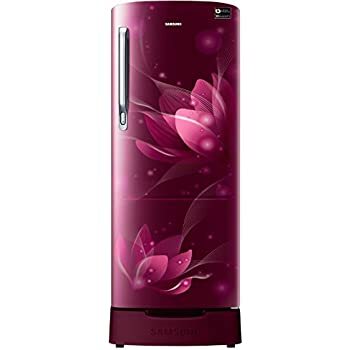 A feature exclusive to LG Direct Cool Refrigerators. 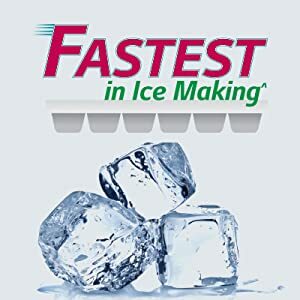 Makes fastest ice^ in just 108 minutes. 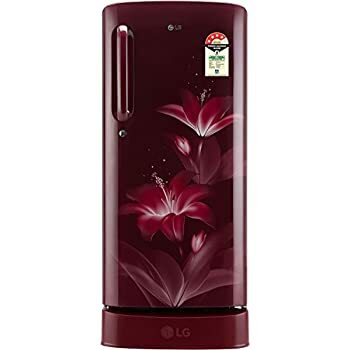 LG Direct Cool Refrigerators come with base stand drawer for extra storage to keep onion, potatoes and other vegetables. 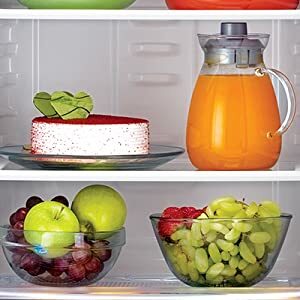 Shelves made of toughened glass are capable of holding heavy food items. These can take load as heavy as 175kg ^^as per LG internal test standards. ^^Under test conducted at LG in house laboratory. 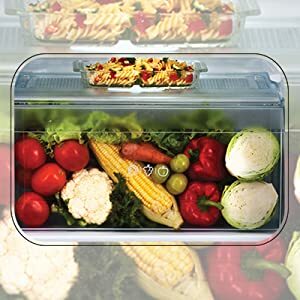 Easy to clean keeping food healthy and hygienic for longer periods. 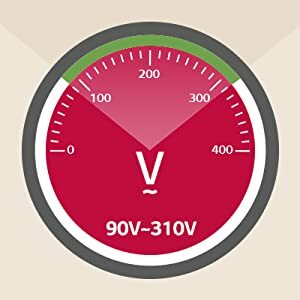 The LG Direct Cool Refrigerators can operate at a voltage range of 90~310V ^. which means your refrigerator can work without a stabilizer too. bought it for 14k in a sale and i should say i m very much satisfied. 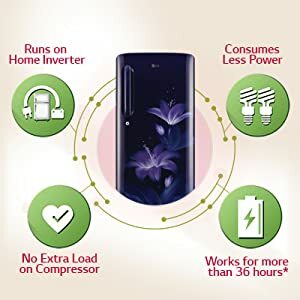 It is silent and energy efficient. it can make you ice cubes in around one hour. if you can think u can defrost it manually, it is a recommended product. Good thing is we don't need to buy a separate stand for it. below a budget of 15k, go for it blindly. Product is good and also the delivery was fine. 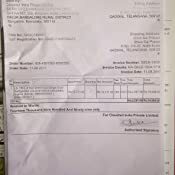 But the Invoice tax slip does not have rubber stamp. Purchased on Oct 30th from Cloudtail. They delivered within a day. 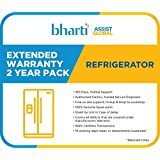 Around 1000 rs discount for old Fridge replacement so I got this product for around 13k. It is working really well since I purchased. Using for past 7 months. Cloudtail service is very Good. LG product is superb till date. To shortlist this product and buy it It took me lot of time to decide. Thanks Cloudtail. Thanks LG ! you made my life easy. 5.0 out of 5 starsI am fully satisfied.. 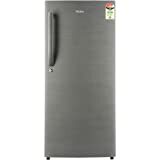 I am fully satisfied... i have received a brand new fridge safely and working smoothly. Highly recommended.. Love amazon shopping....future of shopping. 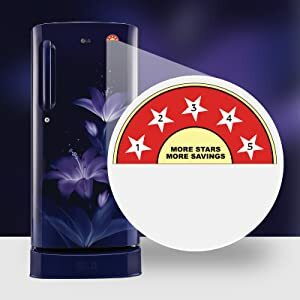 5.0 out of 5 starsBest product and best service. 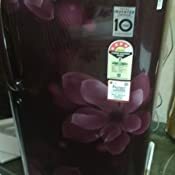 Got it around INR 1200 less compared to market value in captial or Great Eastern electronic. 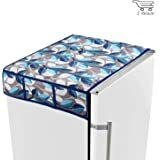 The best single door fridge in this budget. Cooling is really great. Build quality is good. Look is awesome. It comes with a drawer as well. Amazing service from Amazon as well. I got the product delivered before the delivery date. It was exactly the same as seen in the picture. All the features are good. It's working properly as well. 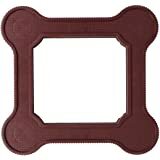 It's very appropriate for a single couple or a three member family. 1.0 out of 5 starsWrong item delivered!! 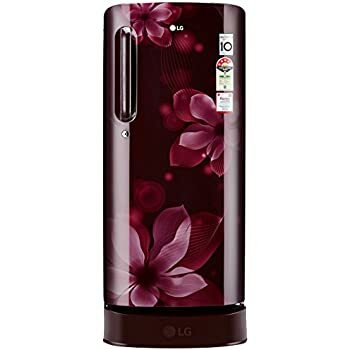 Orderd this model with a base stand but got different product of Lg without base stand and the price is competitively low which I bought. Very very disappointed. Don't want to give a single star.